What would an episode of Seinfeld or Curb Your Enthusiasm be like if two central characters conversed in Yiddish? 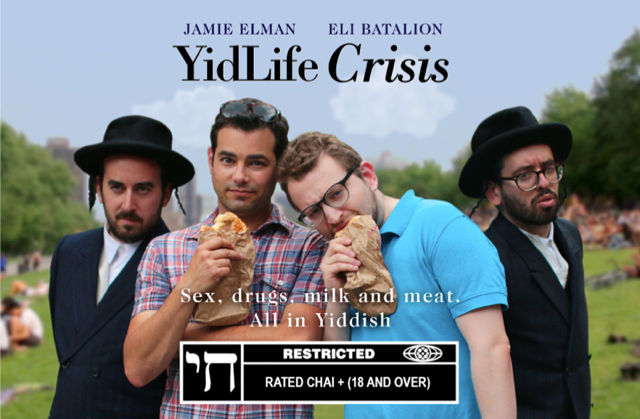 This is one of the first observations The Suburban made after screening episodes of the hilarious new web series starring Montreal actors Jamie Elman and Eli Batalion called YidLife Crisis. The four part series went live at www.YidLifeCrisis.com via YouTube yesterday and it is rated Chai or 18 plus due to its edgy nature. It features Elman and Batalion engaging in rip roaring funny dialogue in Yiddish, with English sub-titles. There is also some great music featured. The duo graduated four years apart from Bialik HighSchool in Côte Saint-Luc where Yiddish was part of the curriculum. One episode each of about five minutes will be rolled out over the next four months. The premiere, arriving the week before Rosh Hashana is appropriately called "Breaking the Fast.” It was filmed at La Banquise, best known for its Quebec delicacy of poutine. The latter is how the duo decide to break their fast on Yom Kippur. They’ll wrap things up in December, with a finale along the spirit of Chanukah, after which they will decide what direction to take. Everything from more episodes to a stage version are possibilities. Filming also occurred at Lester’s Deli and the St. Viateur and Fairmount bagel factories. A French version of the site is planned, as well as a French sub-titled version of the episodes, for early October. Seed money came from the Jewish Community Foundation Arts Grant and the Bronfman Youth Fellowships Venture Fund. “A lot of great North American comedy is deeply influenced by Yiddish expression, cadence and logic…or lack thereof”, says Batalion, once the Yiddish valedictorian of Bialik. Subscribers to Bell Fibe TV in Montreal can now access an unprecedented new program which shares heart-warming personal life stories about local philanthropists and profiles the respective organizations they support in the same episode. 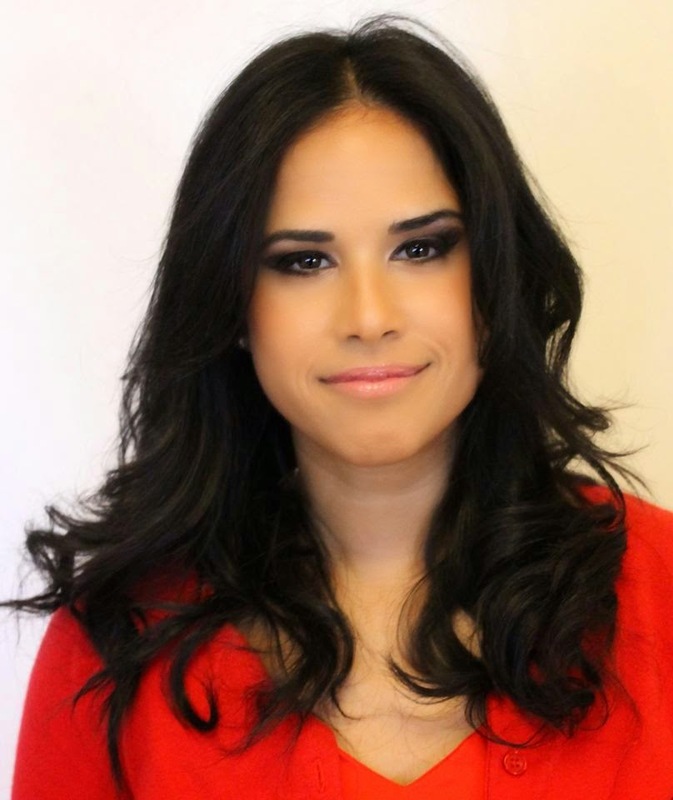 Give Back Montreal is hosted by the dynamic Leslie Perez, a marketing and communications professional who also serves as the producer. She began working on the concept a year ago and her touch is immediately evident in a catchy opening sequence which includes a variety of different Montrealers endorsing her theme. The show appears on Bell Local is to engage local Canadian communities by working together to create and share entertaining, informative and inspiring local stories. To access this show and others 24/7, one must go to channel 1217, press select, “view all” and then when on the Greater Montreal category go to “view all” again and scroll down to find the episodes. Perez says she wanted to create a show that highlights the ways philanthropists become who they are as a result of their personal trials. “Many philanthropists undergo life-changing hardships and one of the most constructive ways they deal with their challenges is by giving back or advocating for the cause they believe in; my goal is to reveal just that,” said Perez, a single mother of two who opens up about that experience and even showcases her daughters in the opening. The first two episodes profile Diane and Sal Guerrera, major contributors to The Miriam Foundation and influential advocates for children and adults with autistic spectrum disorders or intellectual disabilities; and lawyer Norton Segal and his connection to the Friendship Circle, which provides assistance and support to children with special needs. I watched both shows with great interest. Who knows? Leslie could become the Barbara Walters of Montreal!